Amanda M. Rowe is the principal of the Rowe Law Firm, PLLC, an estate planning firm which provides quality legal services in the areas of estate and tax planning, asset protection, small business solutions and litigation. The practice, with a principal office is in Dallas, Texas, concentrates on asset preservation through estate planning tools including trusts, wills, family limited partnerships, domestic asset protection and other techniques. Ms. Rowe has access to meeting areas throughout the Dallas/Fort Worth metroplex and she is able to accommodate her clients who are unable to travel or need schedule accommodations. Ms. Rowe has been practicing law for over 19 years. She is licensed in both Texas and California, as well as the United States District Courts for the Northern District of Texas and Southern District of California. After obtaining her license in 1992, Ms. Rowe practiced for a fast paced downtown law firm for six years in defense litigation including bad faith, product's liability, governmental torts and commercial litigation. Upon relocation to San Diego in 1998, Ms. Rowe promptly passed the California Bar (40% success rate) and started working for a diverse law firm in downtown San Diego. In 2002, having started a family, Ms. Rowe returned to her extended family and Dallas, Texas roots to raise her children. She strived for her own practice and narrowed her focus and experience primarily to estate planning (including wills, trusts, ancillary documents, asset protection and charitable planning), probate, guardianship, adoptions, and business solutions, as well as general litigation matters. Ms. Rowe is a member of Wealthcounsel, which is a national estate planning association that provides cutting edge technology, expertise and education. Through this membership, she receives regular software updates and continued legal education from the top estate planning attorneys and Certified Public Accountants throughout the United States to ensure she provides her clients with the best and current services. 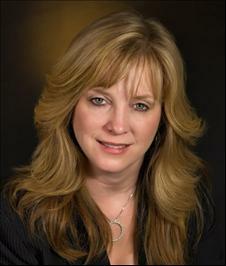 Ms. Rowe has extensive experience with implementing numerous estate planning vehicles. She performs services designed to minimize taxes, and maximize protection of her clients' assets. Her work in the litigation field gives her a keen familiarity with the pitfalls of improper estate planning. She knows firsthand the complexity and cost of litigation. Furthermore, she is uniquely aware of how time and diligence can avoid litigation. She has represented and assisted retired couples, retired singles, physicians, lawyers, corporate executives, business owners, families with minor children and special needs, as well as many other individuals in implementing sound estate-planning strategies. Ms. Rowe received her Bachelor of Arts at the University of Texas at Austin. She earned her Doctorate of Jurisprudence at Baylor School of Law in 1992 in Waco, Texas, where she was Order of the Barristers and a member of Phi Delta Phi honors fraternity. Ms. Rowe is a member of the Dallas Bar Association, Texas State Bar, California State Bar, American Bar Association, Wealth Counsel, Atticus Rainmakers, the Advisor's Forum, National Association of Estate Planners, and Dallas Estate Planning Council.